You would like to be more creative harmony-wise, and yet you always rely on the same old chords? You would like to find some fresh and original sounds, but you are afraid of all the things you need to know to create new chords? Believe me, it's actually easier than it seems at first sight. The truth is that most people confuse learning how to USE new chords (that is the important thing) with learning the NAMES of the chords (which has a limited usefulness and is much more complicated). Also, most of you have probably already tried to learn some new chords, maybe rom a chord book, and quickly realized that a SINGLE new chord is not taking you anywhere. This is because you need more than one chord to compose a song, and chords tend to work in SETS. 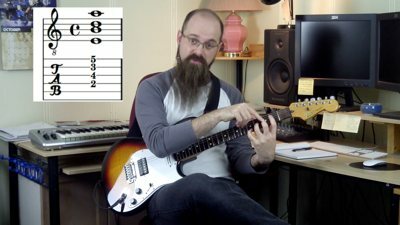 In the video below I explain an easy technique that allows you to build a whole set of chords, either from scratch or from a chord you already know and like.